I hope I'm not the only one with color mixing problems. You know the whole misery loves company thing. So I thought this would be a good place to post problems and maybe solutions to some problems people are having. My problem is white. No matter what I mix with this color it just doesn't come out right. I'm with you, wish I had solution, but just chiming in with problems, equipment stuff aside any color I mix is light years away from what I'm after no matter how long I try, and have no clue what things work together well, can anyone recommend a good color theory or color bible type book? Can't really help you with color theory. Kind of a learn as you go. Eventually you find out what works and what becomes mud. What I have learnt is to mix your major colors first. For instance, I will mix my green and blue first. Okay, am I happy with how it "feels"? Chances are it'll be too bright. I then "tone" the brightness down with light gray. Drop by drop. Swirl and recheck. I know i can always knock the color intensity with drops of light gray. Okay, do I want to lighten the mix? I can judiciously add white. 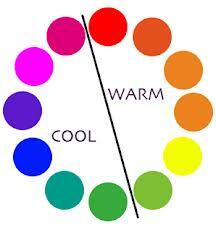 for colour theory and mixing ideas I will put the links up on there for you. Hope these help you guys. Thanks guys. Great info steve and Stan. I don't have much problems with other colors. It just seems to be anything with white. I have noticed that the white that I have seems kind of gritty. I'm going to check out another bottle tomorrow and see if its the same way. One of the best things you guys can do is simply grab a small one or two drops of color on a plane white piece of paper and find out first hand what happens when you mix colors together. For example if you mix blue and red and you will get purple---so if you add thin translucent red over blue you are going to change the blue to a more purple tone and vise versa. Mixing colors like red and green together equal a muddy mess---they don't work well together however they will help when you feel something is to green in tone you can over spray a little red to balance it back out and vise versa...but do so with caution, if over done it will cause muddiness. Yellow and blue will make a green tone. Also learn what colors are complimentary to one another such as Blue and brown go together but again red and green fight each other. Darkening down colors , you might use black, gray or even brown, even sometimes a darker version of the very color your using. To tone down brightness use light -medium grays, light to medium blues, translucent blacks, or even light to medium paynes gray. And all in translucent form as well. To brighten colors use white or to warm up colors use yellow,reds and oranges, very very translucent over sprays work best. Even warm browns work well. Cool toning down colors use , light grays, blues, whites etc...all translucently. Okay...seems the white I had was not good. New bottle doesn't seem to be giving me nearly as much trouble. I might just start liking this airbrush thing. thanks Casey for the advice. Does any body have issues with humidity? I live in Alabama and the humidity is always crazy here but this past week it has been horrible. Today I started painting and within 8 minutes or so water started spitting out of my airbrush. Do you think it has to do with it being so humid? I have reserve tank and water trap still shooting water? Humidity will do it. With a tank and a trap you might try a second, in-line trap... but you'll always have some issues. A larger tank MIGHT help. Im about to chunk this whole thing out the window. if it is that wont help the tank will heat up just enough to form condensation on the inside of the tank. take it out and let it drain and dry this will help too. The compressor is in side away from the sun and heat. I always unscrew the moister trap from the regulator and the drain plug from the tank, but with no luck. Even went as far as borrowing a friends last night and same thing happened. He had just the compressor and no tank. I'm going to chalk it up to the humidity. Thanks Steve for trying to trouble shoot. Your piece looks great by the way. nice tip about open the drain and let it dry for the night, never thought that! i had big issues with water, after pass all day paint with car paints at my Venom, i started to paint the Casey bust, and got tons of water, i even had to washed the bust once hahhaha .